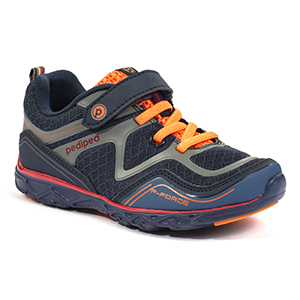 A first walking shoe in bright blue leather with strong heel support, soft padded leather and two easy velcro straps. A first walking closed-in leather shoe in a vibrant blue with suede patches throughout and a grey patch heel. 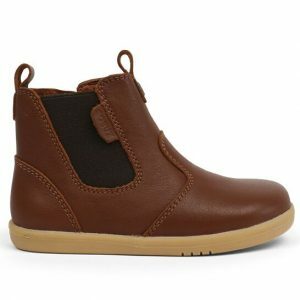 This strong supportive shoe has the softest leather inside, super padded for extra comfort. The heel support is strong and so is the sole, you can feel confident these shoes will last the term. 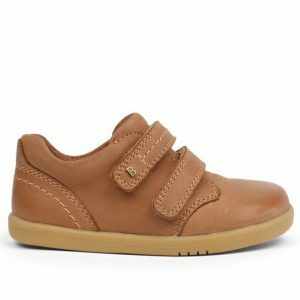 Froddo Azer has a removable insole, two Velcro straps and a distressed white sole.